with info created during Checkout. 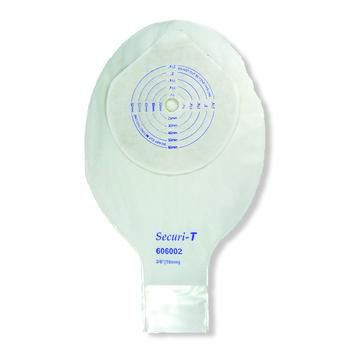 The Genairex Securi-T™ Pediatric 6" One Piece Drainable Pouch is a standard wear pediatric ostomy pouch cut to fit 3/8" (10 mm) - 2 3/8" (60 mm) stoma openings with 10 soft tail closures and a one-sided comfort panel. James and the crew are awesome. Very professional and helpful. They made this a very painless and easy process. I will be happy to recommend them to anyone. Keep up the good work. Please Note: In-store prices and inventory available may differ from online prices and inventory.